Here at Certified Autoplex, our inventory focuses on pre-owned luxury vehicles across the automotive market. We carry the traditional luxury brands, but we also have quite a few luxury vehicles that are from more of the mainstream brands. One example is the Ford Expedition. This full-size SUV is top-of-the-line for the Ford lineup. It is the largest, most equipped SUV that Ford has to offer, which is one of the main reasons we’re offering it here in Carrollton. As of right now, we have a pre-owned 2017 Ford Expedition model on our lot. It’s important for us to note that our inventory is constantly changing, so there may be more options in the future. The Expedition can fit up to eight passengers, so there’s no doubt that the entire family will be able to tag along on all your adventures. We’re going to dig deeper to give drivers an idea of some of the features and performance capabilities of this iconic SUV. The model that we have on our lot right now is the 2017 Ford Expedition EL Limited. It is equipped with a 3.5-liter Ecoboost V-6 engine and paired with an automatic transmission, which makes for a smooth driving experience. Drivers can expect to average 15 mpg in the city and 19 on the highway if they choose the Expedition. Four-wheel drive is standard, which is ideal for difficult terrains and challenging weather conditions. When it comes to luxury, the Ford Expedition is sure to impress. It is set with heated and cooled leather seats so drivers can adjust depending on the season. Some convenience features include remote start and a rear parking aid for additional assistance. There is also a power liftgate for when you’re hands are full, and there is a luggage roof rack for extra storage. 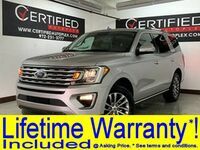 Those interested in learning more about the Ford Expedition are welcome to contact our team here at Certified Autoplex for more information. Drivers can get behind the wheel by scheduling a test drive online for this particular model. 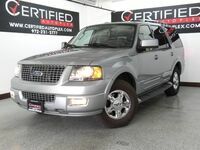 Interested in a Used Ford Expedition?